Tecan 30045041 Annual Maintenance Kit for a Tecan Freedom EVO 4 Fix Tips for 200 Family. Tecan 30045041 Annual Maintenance Kit for a Tecan Freedom EVO 4 Fix Tips for 200 Family. Includes_ 4 syringes, 4 diluter 3-way valves, 4 tips, 4 ILID cables, 4 Aspirating Tubing, 4 Interconnect Tubing, 4 Pipette Tubing, 1 waste tubing. 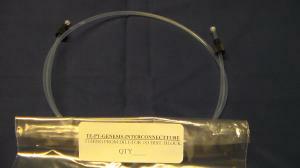 Tecan 30045042 Annual Maintenance Kit for a Tecan Freedom EVO DITI 4 Tip for 200 Family. Tecan 30045054 Annual Maintenance Kit for a Tecan Freedom EVO with 8 tips. Tecan 30045054 Annual Maintenance Kit for a Tecan Freedom EVO with 8 tips. 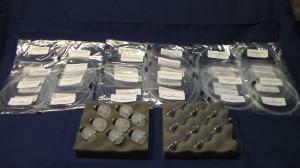 Includes_ 8 syringes, 8 dilutor 3-way valves, 8 tips, 8 ilid cables, 1 waste tubing. 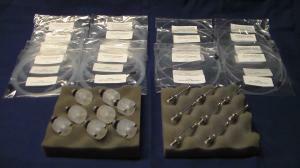 Tecan 30045034 Annual Maintenance Kit for a Tecan Freedom EVO 8 Fixed Tips for 150. 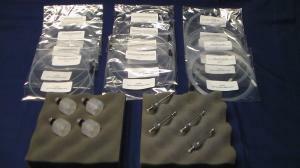 Includes: 8 1ml syringes, 8 diluter 3-way valves, 8 Standard Fixed Tips, 8 ILID cables, 1 Aspirating Tubing kit, 8 Interconnect Tubing, 8 Pipette Tubing and 1 waste tubing. Tecan 30045036 Annual Maintenance Kit for a Tecan Freedom EVO DITI 8 Tip for 100/150 Family. 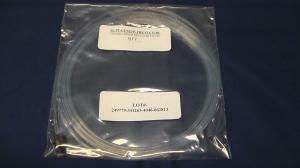 Includes: 8 syringes, 8 diluter 3-way valves, 8 Diti Cones and Tubing Extension, 8 ILID cables, 1 Aspirating Tubing, 8 Interconnect Tubing, 8 Pipette Tubing, 1 waste tubing. 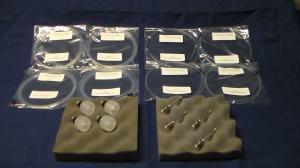 Tecan 30045037 Annual Maintenance Kit for a Tecan Freedom EVO 4 Fix Tips for 100/150 Family. 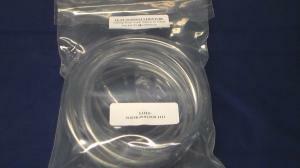 Includes: 4 syringes, 4 diluter 3-way valves, 4 tips, 4 ILID cables, 4 Aspirating Tubing, 4 Interconnect Tubing, 4 Pipette Tubing, 1 waste tubing.